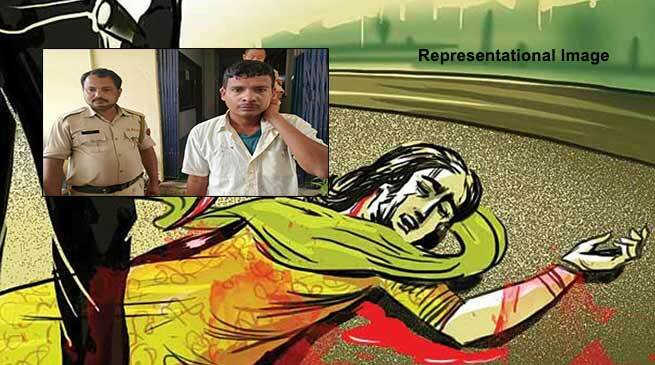 The District & Session Court, Dibrugarh in Assam witnessed horrific scenes on Friday when a man killed a woman with a kitchen knife after a chase on the court premises. The women was his wife. Purna Nahar Deka of Naharkatia kills his wife Reeta Nahar Deka in the District & Session Court, Dibrugarh on Friday. Reeta filed a case against Purna accusing him for their daughters molestation. Purna was in jail for nine months. Today was hearing of the case. They came to the court for hearing of a molestation case related to their daughter. Suddenly Purna cut the neck of her wife Reeta in the court premises . She immediately rushed to AMCH but declared dead.